It's always good to be nice to the staff at your favorite apartment complex. That way, when your friend moves into their new apartment, you can get permission to sneak in before they get there and leave a cheerful and highly caloric greeting. 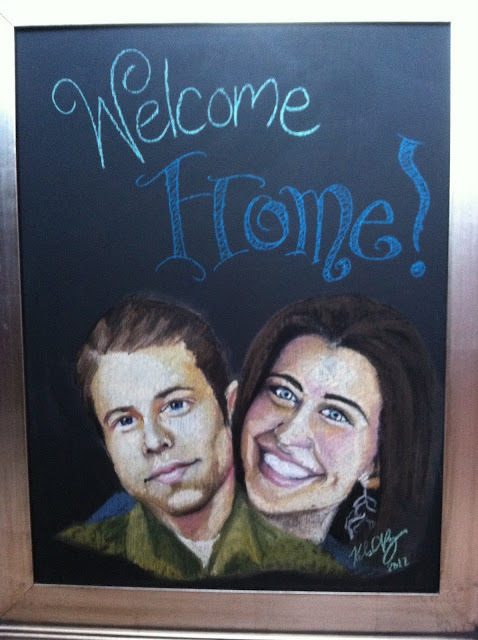 18x24 Chalkboard - made using chalkboard paint and pastels.